Laurent Gavara completed his M. Sci. in 2005 in Montpellier and pursued his graduate studies under the supervision of Pr. Jean-Pierre Hénichart and Pr. Benoit Rigo at the University of Lille, where he received his Ph.D. in 2008. He conducted a first postdoctoral work for 2 years in Clermont-Ferrand in the Pascal Moreau group and then moved to a second postdoctoral position for 1 year in Fort Worth, US, with the Pr. Jean-Luc Montchamp. In 2012, he joined the group of Muriel Amblard at the faculty of pharmacy of Montpellier as research fellow. One year later, he reached an associate professor position in the same group. 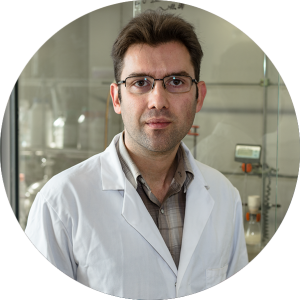 His research interests are focused on the design and the synthesis of small heterocyclic molecules. He is currently working to fight the bacterial resistance thank to the inhibition of key bacterial enzymes.